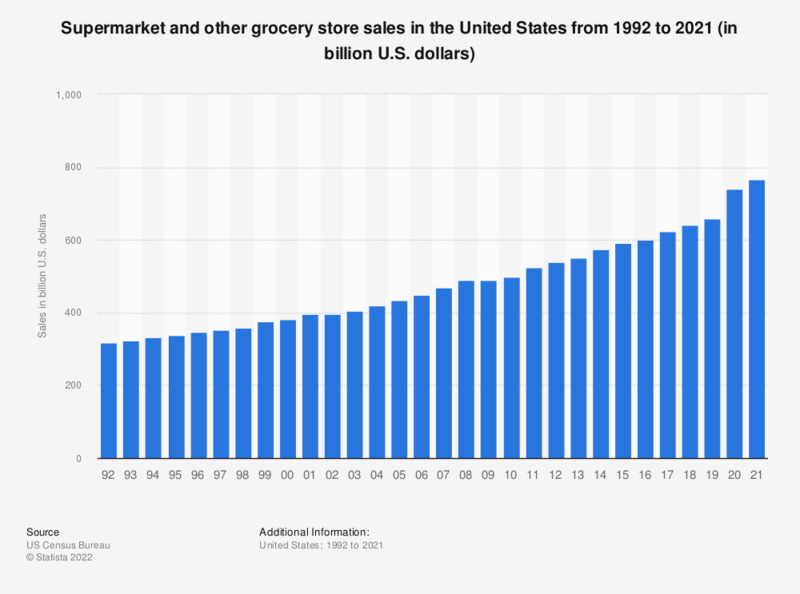 This timeline shows supermarket and other grocery store sales in the United States from 1992 to 2017. In 2017, U.S. supermarket and grocery store sales amounted to about 611.96 billion U.S. dollars. Wal-Mart stores dominated sales of the leading grocery retailers in 2016, generating approximately 362.82 billion U.S. dollars.